Hitchhiking is often considered a dangerous activity, something for people without money: not something people associate with business. My personal experience is quite different because hitchhiking was my road to Damascus, no pun intended. I didn’t make any money from hitchhiking but instead I learned languages, sales, grit and built the biggest online resource for hitchhikers. I have first tried hitchhiking in the late nineties. The idea was to get from Maastricht to Paris. I went with my friend Peter. Fail #1: two guys without any experience. We had one ride to Liège, then got stuck there, took a train to Charleroi, tried again and finally ended up taking an expensive train to Paris. A couple of years later I tried again, in Croatia. Fail #2: no map, no dictionary, no knowledge of the local language. After quite a few rides from many friendly drivers we ended up not far away from where we started. These did not derail our objectives. I was still confident that these were purely a product of our lack of experience, so I thrived on it because we kept on pushing. The main problem we experienced during my first hitchhiking attempts was not speaking the language. When hitchhiking in a place where you don’t speak the language, please always carry a pocket dictionary. If you feel comfortable enough showing your smart phone, use Google Translate. (Comfortable depends on the environment, the great majority would be safe enough I reckon). Even if you don’t speak the local language at all, if you go for longer distances you will learn to pick up basic words and phrases, start with “Where are you going?”, “I am from (your home country here)”. You will gain confidence quickly, much more confidence than you get in your secondary school. This is confidence that will help you talk to your first potential customers as well as to investors like we do right now at my current company. Whether you stand by the side of the road or approach people at gas stations, you need to sell yourself. In a very short time you need to convey trust and people need to buy your offer. It all goes without any monetary exchange, but people need to buy into your story. Once you are in the car you usually end up talking to your driver and their company. If you (already) speak their language things are easy, but also if you don’t, you have to at at least make an attempt to communicate. A lot of drivers pick up hitchhikers because they’re bored on the road. In return they expect good company and stories. Fortunately stories are easy to come by when you’re hitchhiking. It’s easy to approach people, just do it. Body language – actively, if you have 10 seconds to show that people can trust you you have to be very aware of posture and how open you are, and passively, if someone is in a bad mood there’s no reason to waste time approaching them. Body language is also the only means of communication if you don’t have any language in common. This is translatable to how business is handled at the sales level. The bottom line is that people do business with people they get along with, because that is the very first measure of trust. Once this is accomplished, it is all about delivering on a promise. In the case of hitchhiking, you promise on a need to be interesting: you are rewarding the often bored passer-by that by picking up a bystander his or her journey will be more fulfilling. This is how business works in reality too. November 2011. After a couple of days with my friend Kenny in Las Vegas it was time to move on. My goal was San Francisco. I made it to the highway around noon, then started hitching. After a while I got a short ride and left on the side of the road. 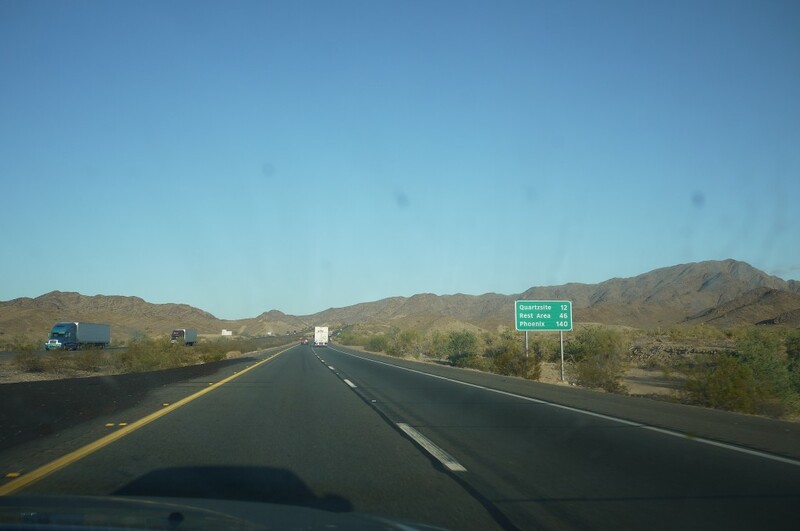 Bear in mind that this is Nevada: a harsh desert environment with wide and desolate roads which means long hard hours waiting in the sun for a ride that rarely came by. After much waiting I decided to walk – and as I am sure you know where this is going – I had to walk a lot: 7 hours to be precise. The hot day had turned into a cold night and albeit being tired I had no option but to keep at the top of my game – pitching by-passers with a sign that read “from Holland”. With about 1 car every ten minutes, going 70 miles per hour. Walking fast is the only way to keep warm. Finally, a guy stopped with his truck. He was not a minimalist, and an army vet. He got me all the way to a gas station 30 miles down the road, with some alien signage. It was the nearest gas station to Area 51. I had some food and Fat Tyre (the only drinkable beer that’s almost mainstream). At some point some aliens came in, Japanese girls who were very excited to hear some Japanese (こんにちは私はオランダです), unfortunately they were heading to Vegas. A few more hours of waiting and talking to random people another, much younger, vet was able to get me to a place with a motel. The next morning I woke up around 6:30, walked to a gas station and then some geezer popped up “hey boy, where you goin’?. I hopped in and I was surprised to learn I had just joined a retiree and his 7 – adorable – chihuahua puppies. He happened to be going all the way to Carson city, right next to California, 7 hours with the cute little doggies jumping on and off my lap. Grit. The road teaches you to never give up. You’ll always get where you want to be, at some point. Again, another lesson easily applied to the business world: react sharply while keeping sharp in an ever changing environment. Having grit is a matter of practice and there I was learning how to be gritty when facing adversity. After many other failed hitchhiking attempts I didn’t give up. 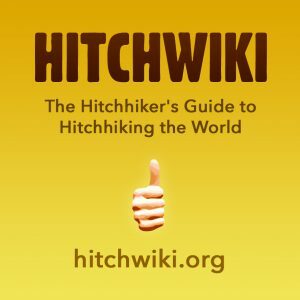 Around 2004 I checked what was available online and I found Hitchbase, a database of hitchhiking spots. I wasn’t very happy with it. Many of the spots were outdated and there was no way to edit them. Meanwhile I had become an active editor on Wikipedia. It was obvious there was a need for a wiki for hitchhiking. I found one started by a Finnish guy, but it was a little abandoned. I moved whatever was useful to Wikia (a collection of wikis) and some other people joined the effort. Around summer 2006 we started to feel the limitations of Wikia. Hitchwiki was born. Fast forward a decade and it’s safe to say that Hitchwiki is now the ultimate resource for hitchhikers with an active community of editors in multiple languages. Of course you can’t really start a new wiki about hitchhiking, but blogging about your hitchhiking trips is a great idea. It will certainly help people around the world. I have been writing blog posts at least once a year since my stay in Mali in 2005. Hitchhiking has been a recurrent theme. If you’re not blogging yet, start today. The theme is not crucial. It’s more important to express yourself and to show yourself to the world. My friend Alison is doing a great job in this regard, with excellent posts such as 10 ways to start a conversation other than “how are you?”. 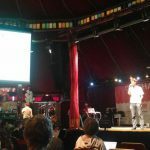 Three take aways from hitchhiking and how it made me a better businessman. Agility in decision making. I credit my experience hitchhiking with my ability to quickly adapt to an environment where there are very few variables that are known. It makes you creative. It forces you to manifest yourself at your best in order to get you towards your desired goal. Grit. This is to me the most important characteristic of a modern business person. In order to succeed, you gotta keep moving regardless. 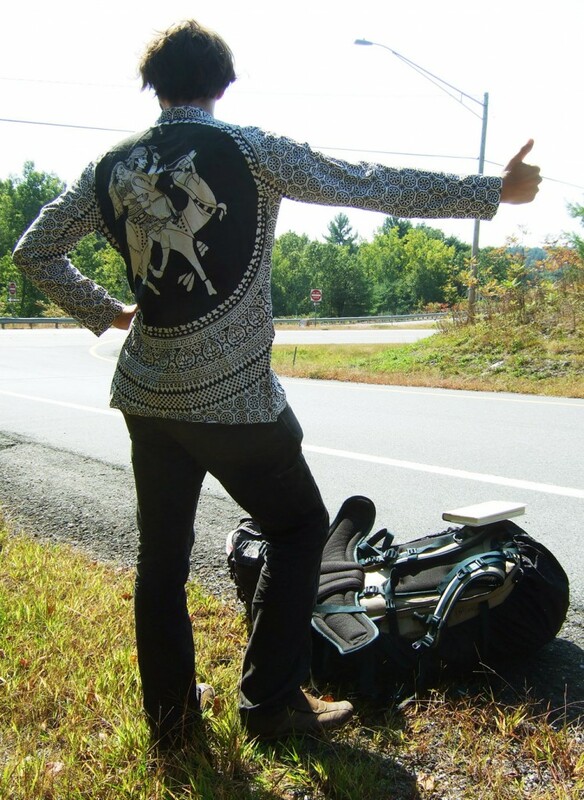 This is what hitchhiking is all about. Sales. In the world of hitchhiking you are the product, that is, the experience you create for the passer-by is the product. With our clients, it is the same thing: we entice them with a value proposition but the delivery is all that matters. 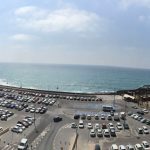 By knowing that I had to reward them with a quality hitchhiking experience and that by doing so I was improving upon their lives I was preparing myself for the business world. 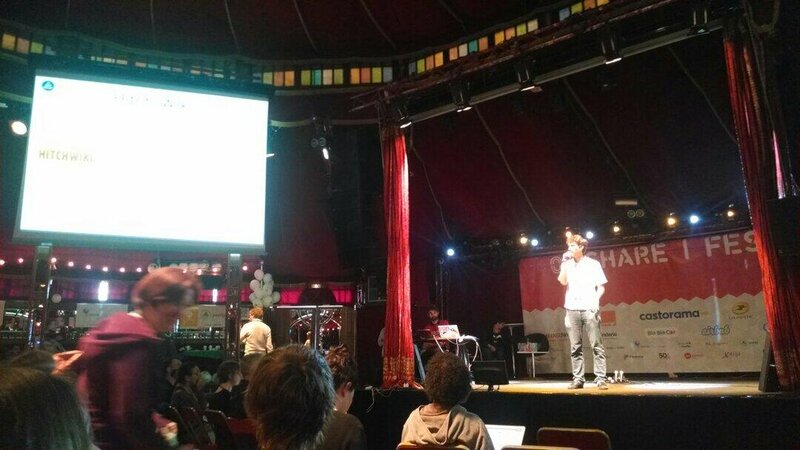 I’ve pitched Hitchwiki many many times, even on stage in Paris at Ouisharefest. Over the years I have made hundreds if not thousands of hitchhiking signs. I’m not able to write anything readable with a pen anymore, but give me a marker and I’ll feel comfortable. This has come in handy at the Nordea Bank accelerator program that I’m currently participating in with B2B Pay! Next time you see a hitchhiker.. Considering picking them up. 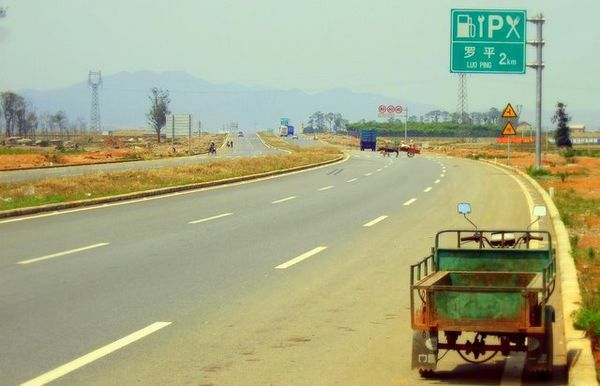 It might be me, or, I don’t really hitchhike that much these days, so someone else who is very happy to share insights about learning languages, search engine optimization and traveling in China.